The man behind many classic Sega titles now works as an advisor for hire for Tokyo's Premium Agency. 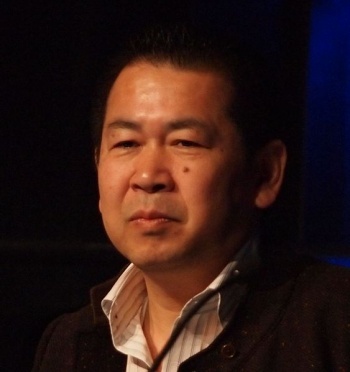 Yu Suzuki is a legend of game development. He's worked at Sega for almost his entire career on games like Out Run, After Burner, Virtua Cop, Virtua Fighter and, of course, the Shenmue games for the Sega Dreamcast that never got their due for creating the open world style of game. In fact, Suzuki was the 6th person to be inducted into the Academy of Interactive Arts & Sciences' Hall of Fame, ahead of Peter Molyneux and Richard Garriott. Now, in the twilight of his career, he has taken a position at the Premium Agency to offer advice on several game projects, one of which is a Kinect fighting game. "I've been [interested in] the idea of integration of technology and entertainment faithfully as a game producer," Suzuki said. It was rumored in 2009 that Suzuki was retiring from game design but Sega later denied his retirement, saying that his role was only slightly diminished. No one is sure how Suzuki's new position at the Premium Agency will be perceived by Sega. Hmm.. the creator of the most technical and precision demanding fighting game series ever created working on a fighting game for the input device with the least input precision ever. I'm not seeing this ending well. Virtua cop is one of the best arcade gun games around and I hope to own a VC2 machine someday. How long have we waited for this? This better not be a gickcky game, I want a REAL fighting game that I can control all of my movements in. A good kinect fighting game cannot work. It's an idea 100x worse than first person platforming.